We are currently seeking a skilled and motivated Senior Investment & Partnership Manager. This role will oversee and lead the strengthening of all aspects of Restless Development Tanzania Investment & Partnership Unit ensuring that the hub has the funds to administer and implement different programs across Tanzania. The Senior Investment will also play a key leadership role in ensuring that Restless Development Tanzania is working to an ambitious, focussed business model. 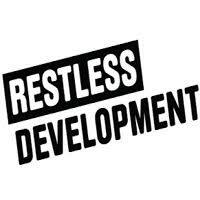 The Senior Investment and Partnership Manager will also work directly with the Hub Director, the Head of Country, Head of Finance, Senior Monitoring, Evaluation, Research & Learning Manager and the Senior Programmes Manager as a key member of Restless Development Tanzania Leadership Team. This is an exciting but particularly demanding role. Our candidate will have significant skills and experience, but might not necessarily be an established Senior Investment & Partnership Manager. You are likely to be a natural leader, and you will enjoy strengthening systems and processes and building teams of people around you. You might be looking to take on additional responsibility, or to develop experience in leading donor and grants relationship management in a challenging setting. First Round Interviews are scheduled to take place week starting 18th March. Second round week ending Friday 29th March.